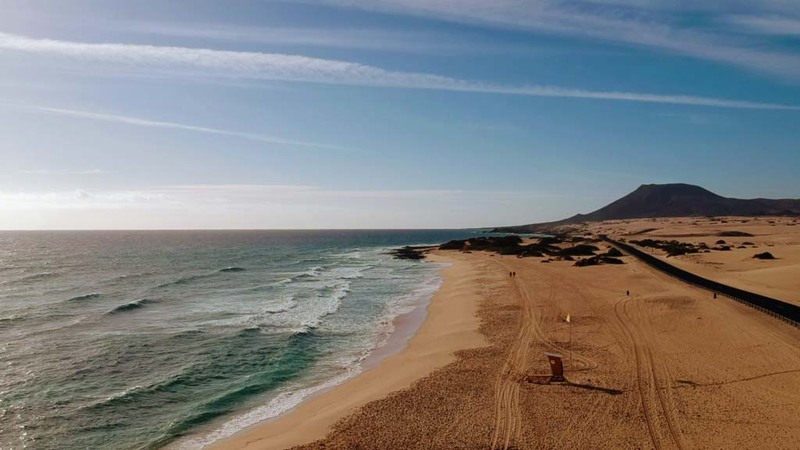 After Tenerife, with almost 1,700 square kilometers of island area, Fuerteventura is the second largest of the Canary Islands. With about 66 inhabitants per square kilometer, it is sparsely populated. 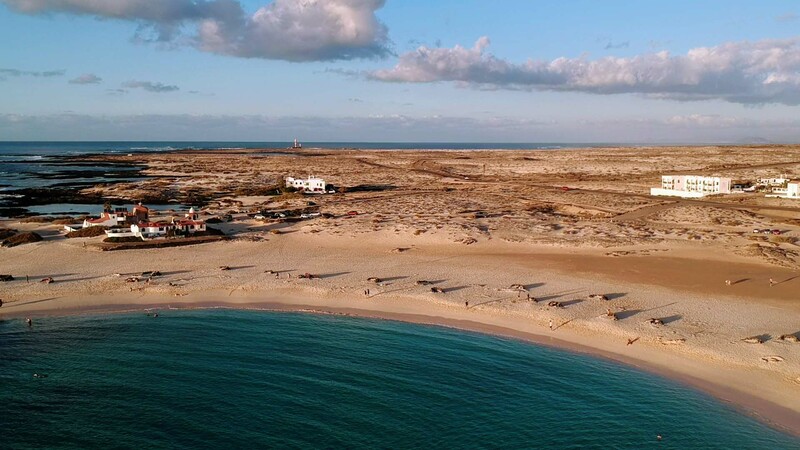 In return, the oldest canary island (about 20.6 million years) offers wide sandy beaches and the protected Parque Natural de Corralejo with large shifting dunes. The almost one hundred kilometer long island is also particularly popular with water sports enthusiasts, such as surfers on the west coast, windsurfers in the north and kitesurfers on the east coast. 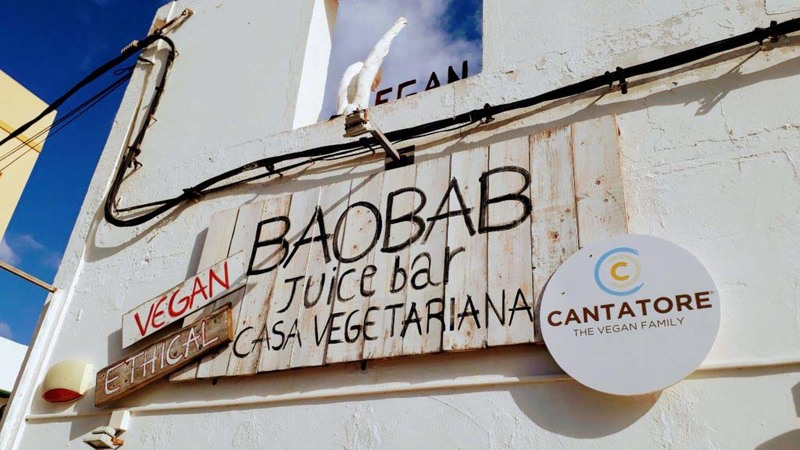 In addition, the island’s tourist center is also home to the most vegan-friendly restaurants in Fuerteventura – including some that only serve vegan, such as the D. Sanchez Bar, the H2O Juice Bar, Baobab and the restaurant Past and Future which some may already know from Cologne. 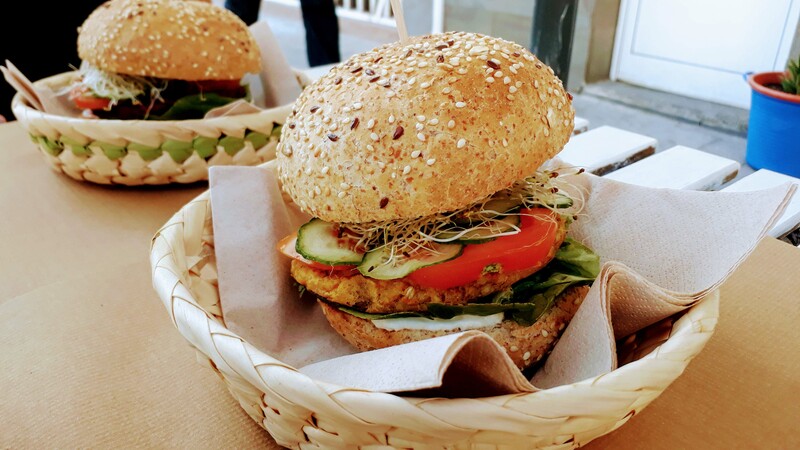 Tasty burgers are also available at Single Fin. Also in Corralejo are the only two hostel recommendations that we have for you on Fuerteventura. 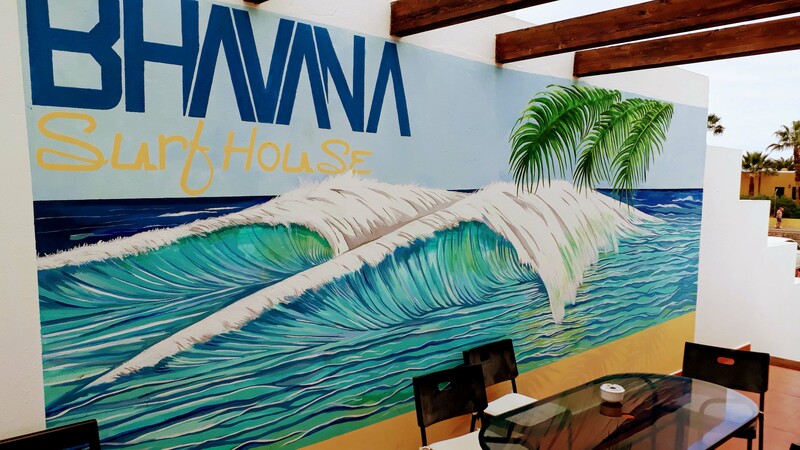 The La Fresa Hostel and the Bhavana Surf House are in the same area and have exactly the same floor plan. 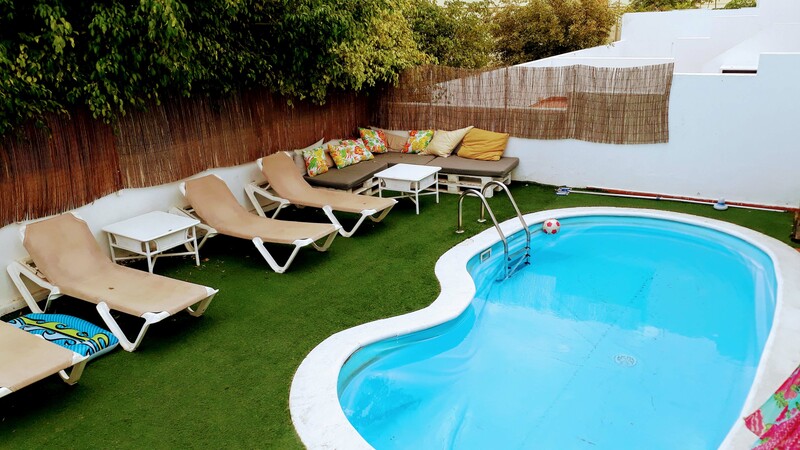 They both include several terraces as well as a pool. At the La Fresa Hostel, however, we got a double room for the same money, for which we only got two beds in the mixed dorm at the Bhavana Surf House. 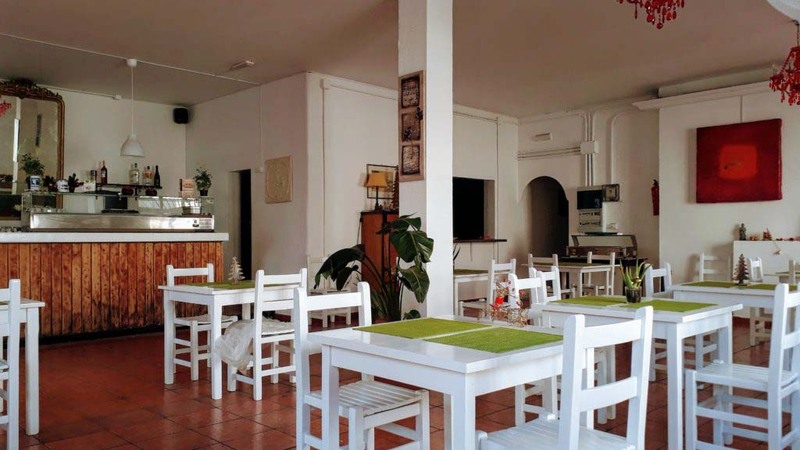 Moreover, the decor and cleanliness were better at La Fresa Hostel as well. 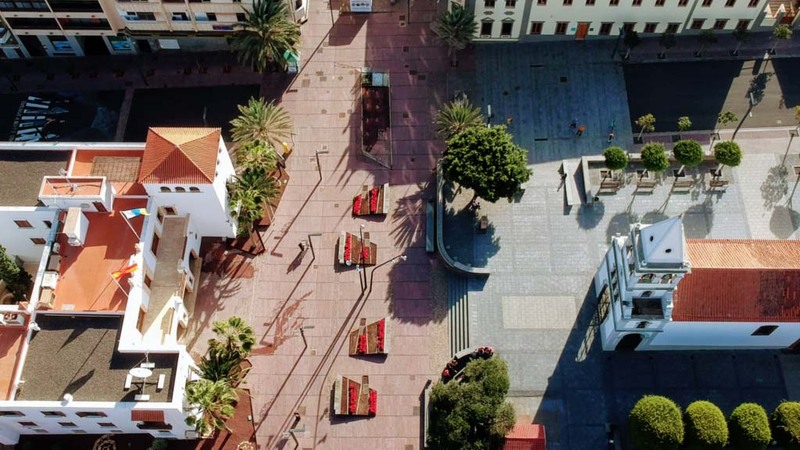 Let’s continue to Lajares, a small village where the arts and crafts school Escuela de Artesanía Canaria is located. Therefore, a small market selling homemade goods is also regularly held here. 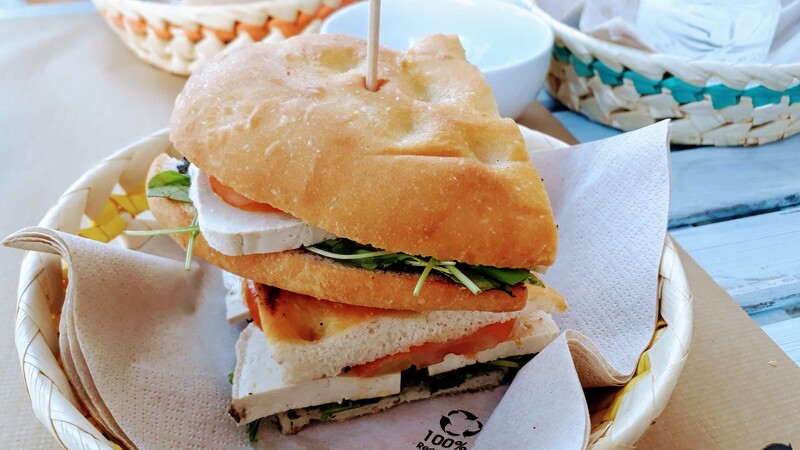 In addition to many restaurants and cafes, there are also a few surf shops. 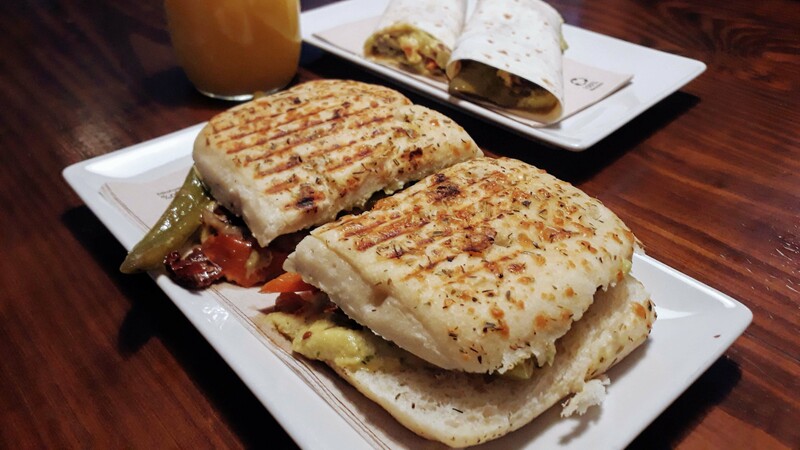 We too had delicious food here, namely in the Canela Café. Like Corralejo, also El Cotillo is mostly visited by surf tourists, since there are some surfing and kitesurfing schools in town. 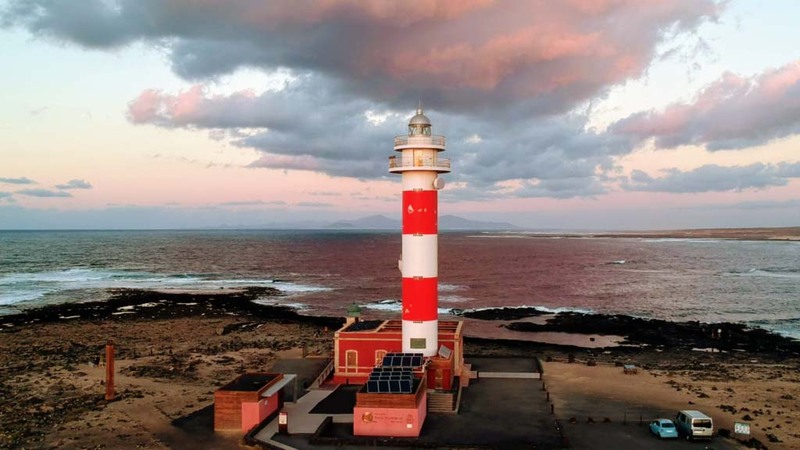 A few kilometers further north, at the Punta Banella, you’ll find the lighthouse Faro de Tostón. Of the three towers built in 1887, 1960 and 1986, only the large red and white striped lighthouse is still in operation. It marks the northwestern tip of Fuerteventura. On the way are some small coves with beautiful sandy beaches. 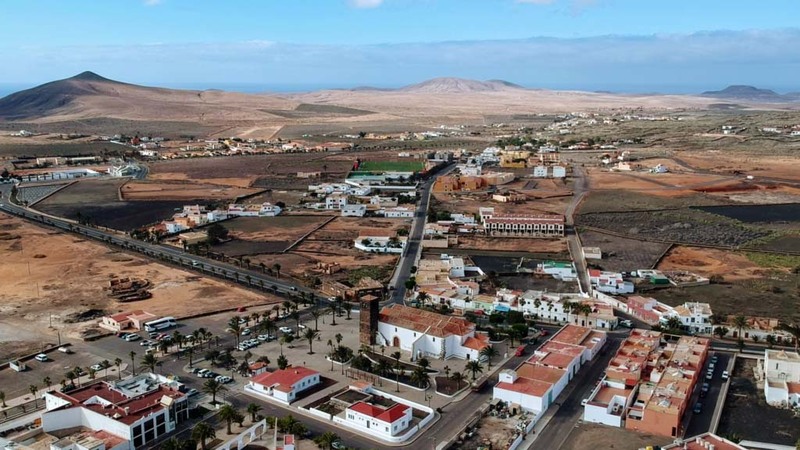 La Oliva is not only one of six municipalities of Fuerteventura, but also a small town. Worth seeing is the church Iglesia de Nuestra Señora de la Candelaria of the 18th century with its large bell tower, as well as the cultural center Centro de Arte Canario. 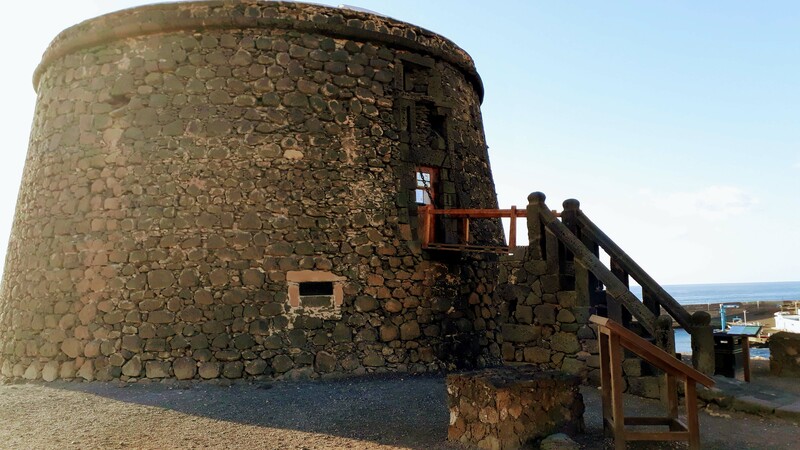 It’s located in the Casa Mané, a restored manor house donated by Manuel Delgado Camino (“Mané”) for the works of young Canarian artists. 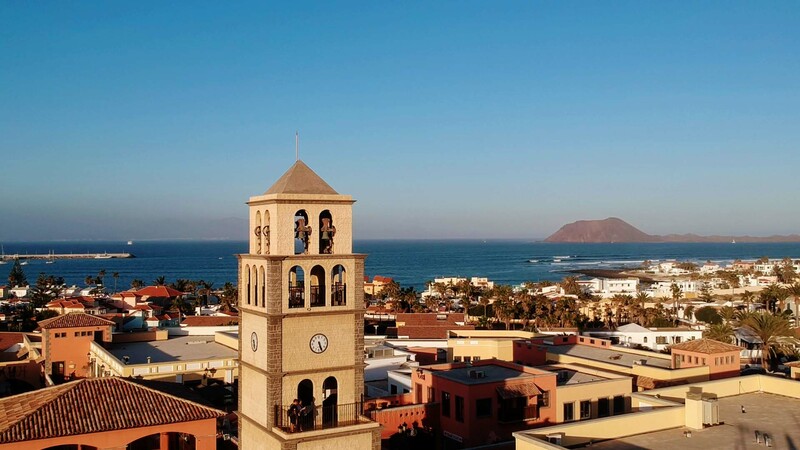 With not even 40,000 inhabitants, Puerto del Rosario is the capital of the island. But that was not always the case: Since the Spanish conquest by Jean de Béthencourt, Betancuria was the capital until 1834 when it was replaced by Antigua and finally in 1860 by the at that time named Puerto de Cabras. The name Puerto de Cabras (“Goat Harbor”) was renamed in the 1950s in Puerto del Rosario (“Port of Rosary”), after the church in the town. The town was founded only in the 18th century, previously no one lived on the coast for fear of pirate attacks. Towards the end of the 19th century, English merchants provided the first wealth of the city. Today, Fuerteventura International Airport (FUE) is located just south of the island’s capital. Both scheduled and charter flights to many countries in Europe, as well as regional airplanes to the neighboring islands operate here. The marina of Puerto del Rosario is the largest hub of the island. 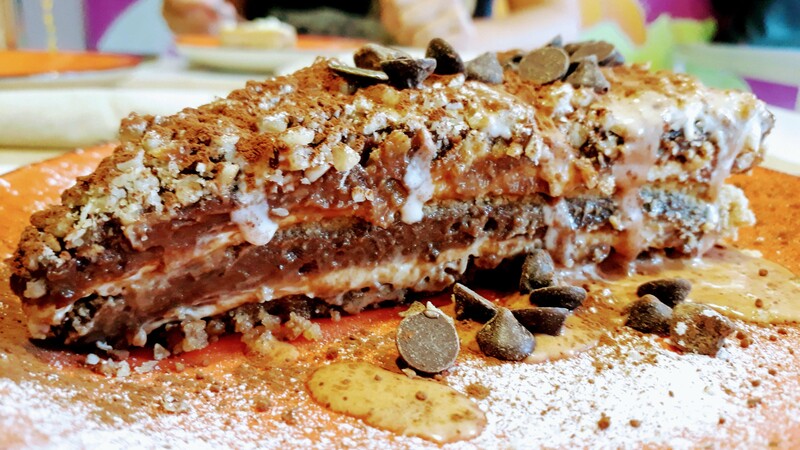 Delicious vegan cakes and pies can be found at Delicias y Namaste. 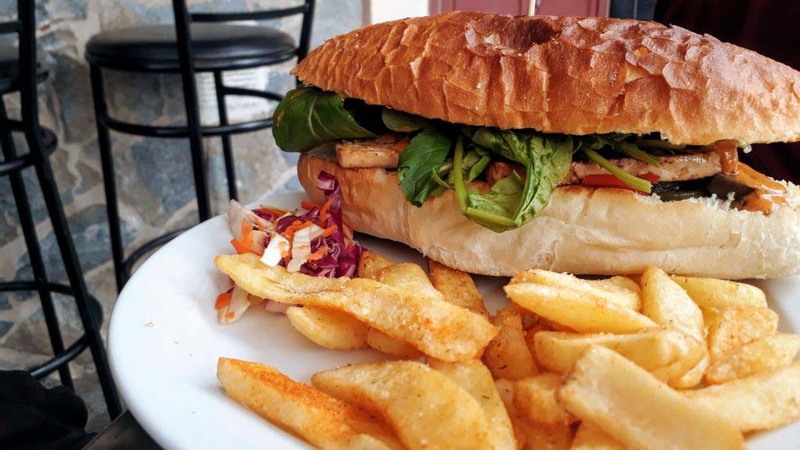 In our opinion, the main courses were priced a bit too high, however, the portions are also quite large. Unfortunately, much of the food on the menu was currently unavailable. In return, the desserts were great regarding both taste and price! Here you get to even more sights on Fuerteventura.